SynthStation25, 25-Key MIDI Keyboard from Akai. 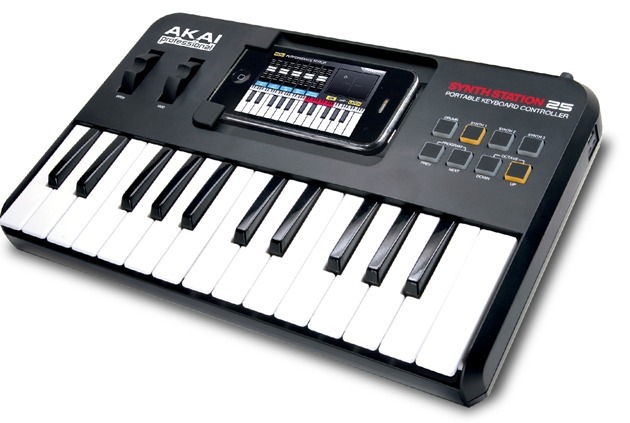 Akai Professional announced the SynthStation25 keyboard controller and the SynthStation music production app, both for iPhone and iPod Touch. The SynthStation25 and SynthStation app are designed to transform a musician’s iPhone or iPod Touch into a portable music production studio for mobile music creation. The app gives musicians three synthesizers for creating and modifying sonic textures used for melodies, chords and bass lines. SynthStation users can create and save sequences and complete songs. The app contains three different three-oscillator synths, and drum kits, which musicians can sequence and mix right in the SynthStation. For creating melodic and accompaniment parts, the SynthStation contains an arpeggiator with preset patterns, built-in effects and filters and an XY control interface for expressive control of key parameters. The SynthStation app features an on-screen keyboard for use on the go. It is also designed for use with its companion keyboard, the SynthStation25. 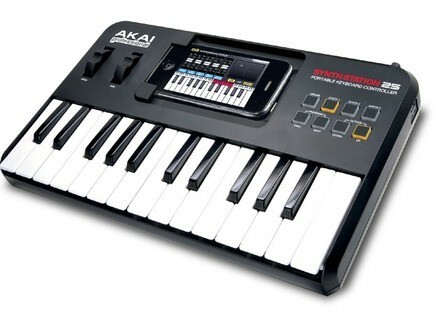 This 25-key MIDI keyboard features a built-in dock for the iPhone or iPod Touch. It gives users two octaves of velocity-sensitive, synth-action keys, pitch and modulation wheels, and physical buttons for the most commonly used controls including octave up and down and sound-bank selections. The SynthStation25 also features a stereo pair of RCA line outputs and a headphone output for connection to recording and sound reinforcement systems. The SynthStation25 also has a USB/MIDI output for use as a controller for other MIDI software on Mac or PC and MIDI hardware devices. Native Instruments Rammfire Running in the free Guitar Rig 4 Player, Rammfire is boosted to a one-stop multi-FX processor with a range of sonic possibilities.